India – June 14, 2017 – Zebra Technologies Corporation (NASDAQ: ZBRA), the market leader in rugged mobile computers, barcode scanners and barcode printers enhanced with software and services to enable real-time enterprise visibility, is introducing two new purpose-built mobile handheld devices that will improve clinical mobility workflows and patient care. The DS8100-HC series scanners and the durable TC51-HC mobile computer can foster clinical collaboration for staffers and drive better operational efficiencies, while also supporting the five rights of medication administration to help increase patient safety. The new products expand Zebra’s portfolio of healthcare solutions. 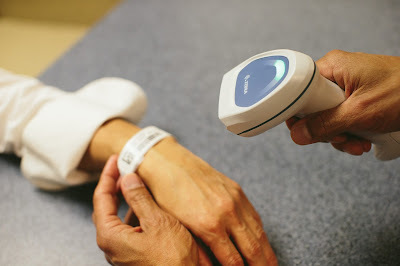 In addition, Zebra recently partnered with GE Healthcare to bring Bluetooth Low Energy (BLE) wireless asset tracking technology to hospitals. GE Healthcare’s Encompass is a cost-effective real-time location systems (RTLS) solution that helps hospitals manage mobile asset inventory, reduce total cost of ownership (TCO) and achieve better capital allocation. · Both the DS8100-HC series and the TC51-HC mobile computer can capture virtually any barcode in any condition and scan the most problematic barcodes found in pharmacies, labs, and at the point of care to help improve productivity and efficiency. · The DS8100-HC sseries imager, available in corded (DS8108-HC) and cordless (DS8178-HC) versions, features a purpose-built housing using special plastics that prevent the spread of bacteria and allow for safe wipe-downs with a wide selection of strong disinfectants used in hospitals. 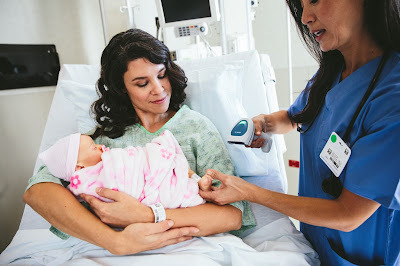 · The DS8100-HC sseries comes with a wide selection of feedback modes such as standard LED, vibrate, and beeper feedback, instantly notifying healthcare workers when a barcode is properly captured without disturbing the patients. The Android™-enabled TC51-HC mobile computer can perform multiple tasks, such as calling/texting co-workers, receiving calls via PBX, accessing patient records, scanning barcodes and increasing medication administration accuracy. By consolidating these applications into one device, tasks can be executed with ease and proficiency. An ultra-high resolution, rear-facing camera and a front-facing camera enable healthcare professionals using the TC51-HC to provide an intricate account of patient condition and offer remote consultation for quicker service. The TC51-HC is supported by LifeGuard™ for Android™, Zebra’s software security solution that extends the lifecycle of Zebra Android enterprise mobile computers. LifeGuard adds years of operating system (OS) security support – beyond the consumer support timeline – to match the enterprise hardware lifecycle, helping organizations significantly lower TCO while ensuring the most updated security. Zebra’s Workforce Connect™: PTT Express solution comes pre-installed and pre-licensed on the TC51-HC, providing clinicians with a push-to-talk (PTT) option right out of the box with any PTT Express-enabled Zebra mobile computer, providing better collaboration and communication between healthcare workers. An integrated healthcare dictionary also enables autofill and suggestions for quicker, more accurate data entry.